Post 4- Book turned into a film and completely desecrated. This question brings back painful, painful memories of one of my favourite book series: The Guardians of Ga’Hoole and the subsequent butchery of afore-mentioned series. I found the book series so enjoyable and addictive that when I moved to France (having read only the first half of the series) and joined the town library, those were the first books I borrowed (in French- and reading childrens’ books in foreign languages terrifies me more than reading any other genre as the vocabulary tends to be entirely different from the one I’m used to using on a daily basis-) as I just had to finish the series and find out what would become of Soren, Gylfie, Twilight and Coryn. For the sake of my sanity (and that of everyone around) I prefer to regard books and films as distinct works of art. The best example of this is the Lord of the Rings series. Jackson’s trilogy is one of my favourite film series of all time: it draws fairly heavily on the original material, is well acted, has a great script and lots of time’s been spent on the little details. It’s a beautiful adaptation that I still marvel over every time I watch it. Nonetheless there is another Middle Earth in my head and it’s just as vivid to my mind as the one that appears on my screen whenever I insert the DVDs and press play. Both are distinct worlds that doubtless differ from those of other readers but are, in their own ways, utterly perfect as they’re created with love and care and attention to detail. So… my main issue with the film version is that… it killed the books. With many painful stabbing motions. (Not really but it may as well have). As the target audience had been changed they altered the dialogue (a key part of the book series), leaving it to limp along. Gylfie was changed from a Hermione-like character to a shadow of herself. Twilight became a terrible poet and figure of fun, which would have worked if the new plot had contained a little more to appeal to the younger viewers for whom it purported to be made. The final straw for me (after the rather anti-climatic last battle) was when a young female owl fluttered her lashes at Soren, who then blushed as she sauntered past, sticking out a surprisingly well-endowed chest (for an animated owl in a PG-rated film). Until that point, Soren had been portrayed as a young owl. About 10 years old by human standards… Just… no! It felt as though the script writers were trying to add extra bits that didn’t fit with the characters they’d created in the film. But it’s not all doom and gloom: apart from the breast-age, the graphics were amazing- feathers swirled and the elements battered down on Ga’Hoole. Sadly they did not manage to distract from the hollowness of the plot without the other elements that made the book series such a compulsive read. 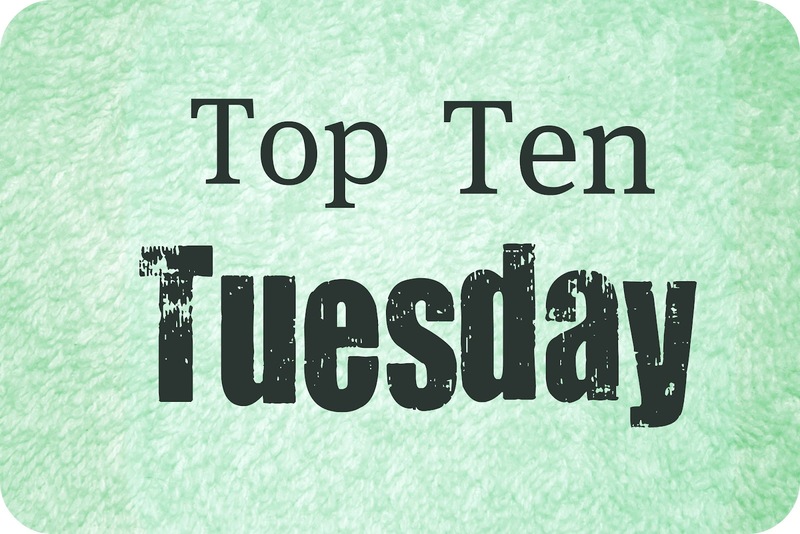 Posted by wildnightin on January 13, 2014 in Blogs of a Bookaholic's 30 post challenge. I’m reading Plus tard, tu comprendras, [you’ll understand later] by Jérome Clément as my bed-time book. It is all about a man who’s going through his recently-deceased mother’s belongings and finds lots of papers detailing what happened to her parents during WWII. It sounds dry maybe, but I find it fascinating and movingly written. My second book is Chanter la langue d’oc en Provence à la fin du XXe siècle, [singing in Occitan in Provence at the end of the 20th century] by Elisabeth Cestor. I’m really cheesed off with myself for not finding this book sooner as it supports some parts of my dissertation that I’d been unable to support before. I now have to re-write the bones of my literature review. I’m also reading Lost Tales of Ga’Hoole by Kathryn Lasky as slowly as I can because I don’t want to finish the series. 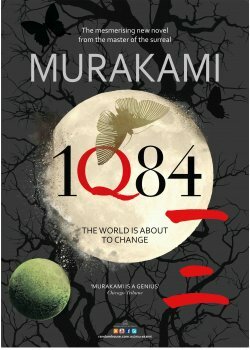 1Q84 by Haruki Murakami: I finished the 1st book yesterday but can’t quite face reading the sequels yet because the content is quite challenging and keeps making me weep. I finally finished reading Sienkiewicz’s Les Chevaliers Teutoniques after over two weeks! What are you reading? Or hoping to read? Any reading woes or wins recently? This is my favourite spring, summer, autumn and winter re-read. It’s not as famous as Pride and Prejudice, but it has a power to it that always makes me smile. Plus it has an extract of one of Tennyson’s poems in it. I miss London from time to time. Not just the big, modern, shiny, superficial place, but the history behind it. Christopher Fowler’s way of writing about my favourite capital makes me fall in love with it all over again. Plus, he makes encyclopaedic knowledge cool. Spring and sad poetry are always linked in my mind (blame Ted Hughes and Webster ‘much possessed by death’ 😉 ) and the middle section with its description of WWI and nervous breakdowns is oddly poetic. Is this bad? I’ve just finished book 15 and I want to re-read it already. Slightly repetitive in places, but the story makes me feel like the wonder I did when I was a little girl. I started reading this earlier in the week and all I want to do is finish it… sadly I can’t skive to be with this book as I have a grammar test next week. Would that exams weren’t important! YA book set in the dying days of the Russian Empire (when they still had a Tsar). The lyricism of the prose and the exciting main characters make this a series to read. I first heard of this one on The Lupine Librarian both the film and book look good. I’m not actively searching for the book yet as I don’t know if there’s an English language copy to be had in the region and I really want to read it in my mother tongue. I’m still waiting for this one to come through! It looks so, so good though that I have already ‘booked’ time off writing my thesis for reading it when it arrives. I miss hearing the proper RP English accents that I grew up with. Although Eliot was American, I grew up hearing his poetry recited and read with an English accent and became accustomed to it. I would totally skive to speak British-English with someone but, as I can’t, Eliot’s exceptional way with words and rhythm will just have to do. I started The Coming of Hoole by Kathryn Lasky this morning. I adore the Guardians of Ga’Hoole series and find this book a brilliant addition to it. It tells the story of Hoole, the founder of the Great Tree of Ga’Hoole (which plays an important role in all the other books). I’ve also begun The Knights of the Cross by Henryk Sienkiewicz as part of the Eastern European Books challenge. This book is particularly significant in Poland as parallels have been drawn between beating back the Teutonic Knights for the last time and the defeat of the Nazis, indeed it was the first book republished in Poland after the end of WW2. I’m waiting for my copies of Murder at Manfield Park by Lynn Sheperd and Peter the Great by J. Massie and should be trying to fill the time by reading The Arabian Nights and Cahier d’un retour au pays natal by Aimé Césaire.